was the perfect location for Tim & Amanda. With their laid backed and family oriented personalities, they did not want to stress about rain, driving to different locations or anything else. And with the slight drizzle that came down this past Sunday, it only confirmed that they picked the perfect location to tie the knot! Two very sweet and kind-hearted souls. I love the tenderness and friendship these two share. Both quiet in their disposition, yet they both bring a sense of peace and calmness when they enter a room. Luke & I loved celebrating with them this past Sunday. Surrounded by sunflowers and loved ones these two made it official! How delightful is your love. When I think about their wedding, there were many sweet and memorable moments. However, I think my favorite was watching their stolen glances between one another. The winks and the smiles and the reassurance they both provided to each other were a touching thing to witness. These two are off on an adventure heading to Texas and starting their lives. We know they are going to do extremely well wherever they go and they will be extremely missed by their loved ones! 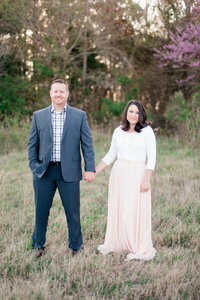 It was truly an honor to capture their beginning and we hope to cross paths again! Congratulations you guys! You were obviously made for one another and we are so glad you found each other! Thank-you for having us and we wish you a lifetime of love and happiness! Loved this First Look with Dad!